Lake Tahoe Luxury Realtor Dave Westall is a seasoned professional who can help you understand the intricacies of the Tahoe real estate markets and can help you achieve your real estate goals. Dave will assist you so that together we can find the perfect Tahoe luxury property and you will be confident with your purchase decision. Owning Lake Tahoe luxury real estate lets you enjoy all the wonders of Lake Tahoe in your own luxury home. The luxury homes in Lake Tahoe feature awe-inspiring details that frame the views of the mountains, Lake Tahoe, and provide all the modern conveniences that make your time in Tahoe memorable. Lake Tahoe luxury real estate is prized around the world for its one of a kind beauty. The homes on Lake Tahoe blend into the picturesque surroundings while affording owners with comfort, convenience, and quality. Living on Lake Tahoe provides amenities that will make you feel pampered and help provide you, your family, and guests with a one of a kind experience. Picture yourself gazing upon Lake Tahoe from your private deck while the essence of the towering pines and crisp mountain air elevate your senses and help to inspire the adventure that lay ahead. This is what makes Lake Tahoe such a desirable real estate location and you and your loved ones will be blessed with a lifetime of happiness in the Sierra Nevada mountains. 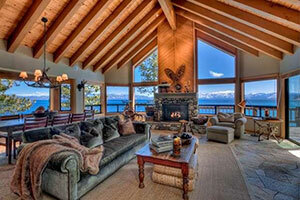 Lake Tahoe lakefront homes are the most desirable luxury real estate listings on Lake Tahoe. Lakefront homes offer amenities such as private lake frontage, buoys, piers, boathouses, hot tubs, movie theaters, and many other custom home features. Tahoe Lakeview real estate is highly desirable and homes with views of Lake Tahoe are worth the premium that these luxury homes demand. Inventory for lakeview homes is limited but I’m confident that my expertise will help you find the perfect home with a view of Lake Tahoe. 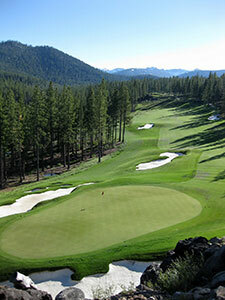 Truckee has some of the most amazing gated golf course communities in North Lake Tahoe offering rustic and modern mountain homes. These luxury Truckee neighborhoods offer world class amenities and some of the best golf courses in California creating an excellent opportunity. View neighborhood information and real estate listings in Martis Camp, Lahontan, Schaffer’s Mill, Grays Crossing, and Old Greenwood. 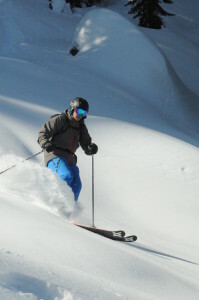 Lake Tahoe ski resort real estate represents some of the most desirable properties in North Lake Tahoe. Homes will vary in price depending on quality, age, condition, and views, so there are homes for every budget. Some of the best examples of rustic lodges can be found in Squaw Valley, Alpine Meadows, and at the Northstar ski resorts. Homes located on acreage offer superior privacy and the ability to construct estate quality homes with accessory units and outbuildings. When you’re looking for a private Lake Tahoe retreat where you, your family and friends can escape to the mountains, then make sure to check out acreage properties. Are you interested in Lake Tahoe luxury real estate and homes for sale? Dave Westall is your North Lake Tahoe Real Estate expert and is happy to answer any questions you have. Contact Dave at (530) 448-9882 or David@WestallRealEstate.com. Want to know the value of your Lake Tahoe property?